Chronoexpo banner stands and popup displays are the most economical stands, great for trade shows or Popup displays. The web server used by Chronoexpo-uk.co.uk is located in France and run by Iliad. This web server runs a few other websites, mostly in the english language. 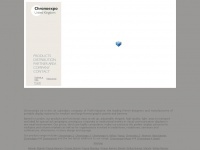 The websites of Chronoexpo-uk.co.uk are served by a Nginx server. The website does not specify details about the inclusion of its content in search engines. For this reason the content will be included by search engines.